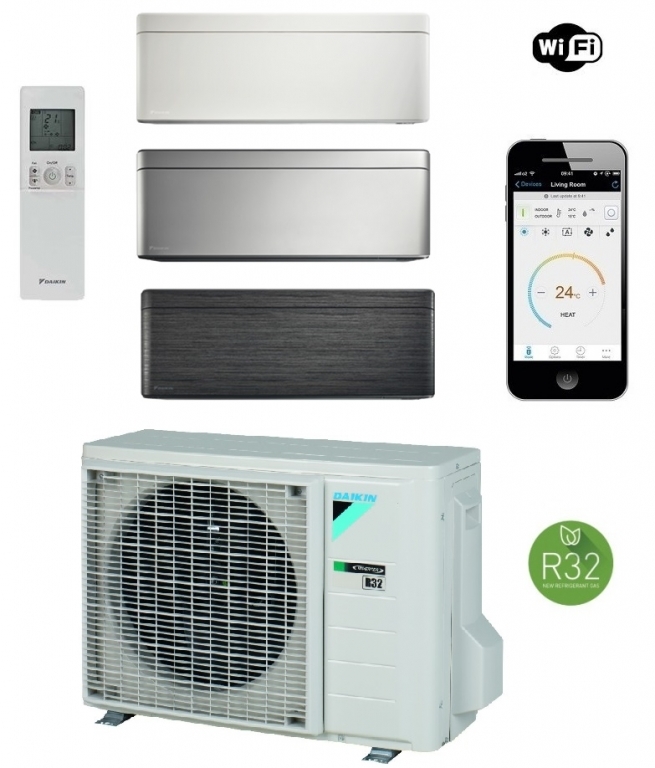 The Daikin FTXA25AW inverter air conditioner and heat pump from the “Stylish” model range. 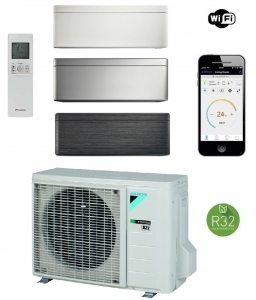 This wall mounted model is avialable in 3 indoor unit colours White, Silver and Blackwood, utilising the latest R32 refrigerant for class leading energy efficiency in both heating and cooling mode. Amongst the systems many features are built in wi-fi and advanced air purification and filtration. See the brochure below for full details on the Daikin Stylish range.